Establishing his practice in 1879, at 175 West George Street, he moved to 221 West George Street in 1885, and eventually settled at 221 West George Street, 1885, where he remained until retiring in 1920. He is chiefly remembered for his many churches in Glasgow and throughout Scotland. His Glasgow churches include Pollokshields United Presbyterian Church, 60 Lesley Street (1882-3); the Wesleyan Churches at Govan (1883, demolished 2004) and Clydebank (1887); Sherbrooke St. Gilbert's UF Church, 240 Nithsdale Road, Glasgow (1894-1900); and Shettleston Old Parish Church 99 Killin Street (1895-1903). At Sherbrooke St. Gilbert's, McGibbon incorporated statues of John Knox, the instigator of the Protestant reformation in 1560, and Thomas Chalmers, who led the Disruption of the Church of Scotland and the establishment of the Free Church in 1843, both of whom flank the door to the church. These, together with the church's rich display of Gothic carver-work in the form of demons, gargoyles, human heads and stiff-leaf, were all carved by a first rate craftsman whose identity is yet to be discovered. In all probability the carver work was executed by a local firm such as James Young or William Vickers , but their work is crumbling and fading fast. Elsewhere, his ecclesiastical work includes the competition winning North Bute Parish Church at Port Bannatyne (1885). 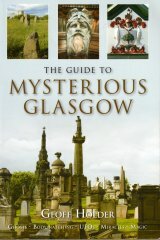 McGibbon also produced a number of interesting villas, industrial buildings and warehouses in Glasgow. These include the Florentine warehouse for Blacklock & McArthur at 118 Cook Street, which features a shield carved with the firm's stag's head trade mark (1888-1900); the Corn Exchange, 81 Hope Street, which included statues of Sowing and Reaping (1895, dem. 1963); and the Flemish-style Offices and stores at 13-15 York Street (1896, dem 1980s). Amongst McGibbon's villas is the huge, Baronial Allerley, which he built for himself at 229 Nithsdale Road (1880). More recently, his Wesleyan Church at 147 Elder Street, of 1883, was demolished after years of standing derelict in 2004, its stone and tiny, beautifully carved heads around its windows all crushed for use as reconstituted building material in England.